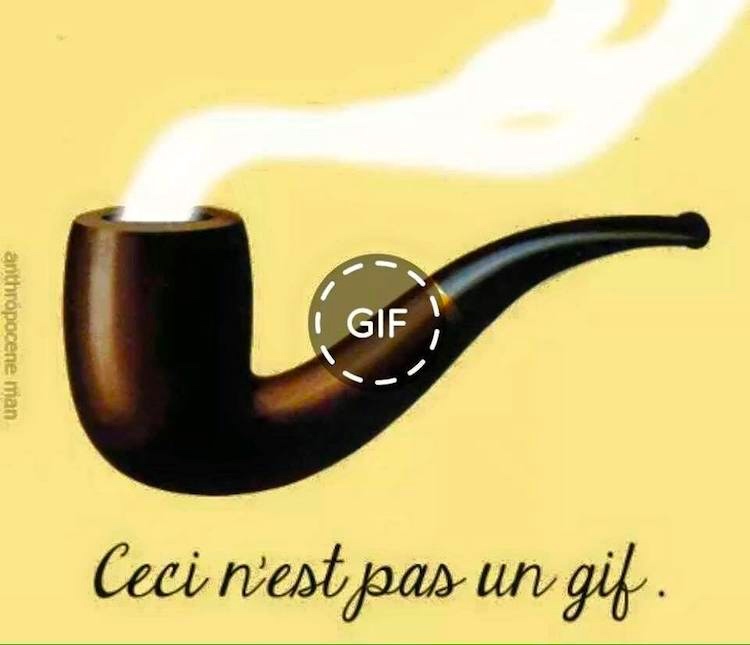 The 1929 Magritte original, often riffed on, went Ceci n’est pas une pipe ‘This is not a pipe’, a disavowal that sets up a contradiction between text and image. So here we have another Magrittean disavowal, as I’ve come to call the phenomenon; there’s a survey in my 8/19/17 posting “Magrittean disavowals”. But they come in two species, and it’s not entirely clear which one the example above belongs to. You are currently browsing the archives for the Deixis category.